Native magazine proves print media is far from obsolete. 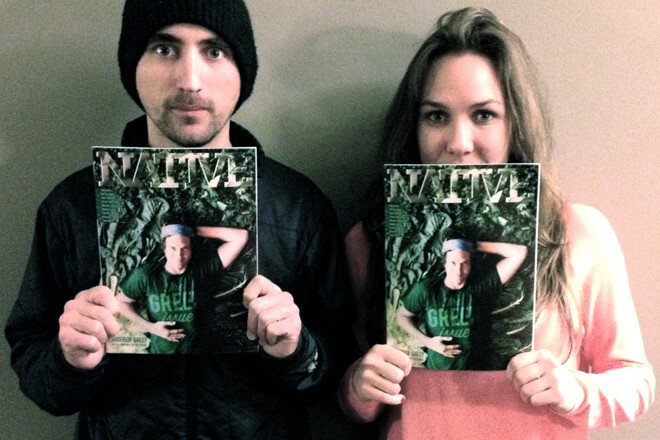 Starting a magazine in today’s economy is not advised, especially for two recent college graduates, however, Dave Pittman and Cayla Mackey forged ahead anyway, creating Nashville’s trendiest new publication: Native. In the span of only several months, Native magazine has made a name for itself in the Nashville community, partnering with local businesses, record labels and universities. The growing success of the magazine might come as a surprise to those who follow popular belief that print media is on its way out, however Native’s steadily expanding readership is concrete proof that risks really can pay off. With a distribution of 10,000, Native reaches an average of 30,000 each month. During its initial months, it took several weeks for distribution locations to run out of issues while today they are gone within a few days. Native’s unique layout and magazine content are what set it apart from local competitors. Native co-founder Cayla Mackey shares Pittman’s affinity for the city and acknowledges the important role college students play in shaping the future of Nashville. “We really want to encourage college students to stay here after graduating. Belmont students are an integral part of our creative community and we need them to make the city a better place to live,” said Mackey. Alex Tapper, Native’s newest addition is no exception. Pittman and Mackey have an optimistic outlook for the future of Native, however rather than focusing on immediate expansion, their efforts lie primarily on the improvement of their product.